Lennon and McCartney. Abbott and Costello. Peanut butter and jelly. Yet until now, a critical aspect has been missing — one that complements the function of electrons in oxide electronics. 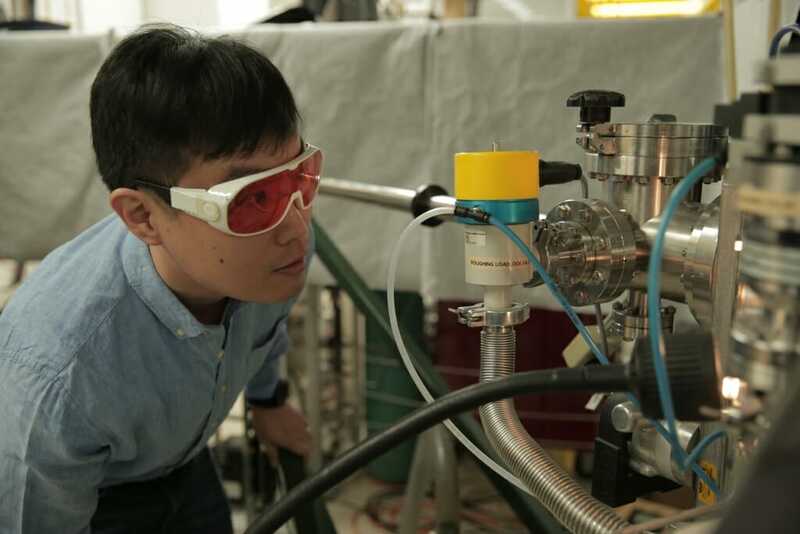 And a team led by University of Wisconsin–Madison materials scientist Chang-Beom Eom has directly observed that missing second half of the duo necessary to move oxide electronics materials forward. It’s called a two-dimensional hole gas — a counterpart to something known as a two-dimensional electron gas. For more than a decade, researchers have recognized a hole gas appearance was possible, but haven’t been able to create it experimentally. Eom is a world expert in material growth, using techniques that allow him to meticulously build, or “grow,” each layer of a material with atomic precision. That expertise, combined with insight into the interaction between layers in their structure, was key in identifying the elusive 2D hole gas. “We were able to design the correct structure and make near-perfect crystals, all without defects that degrade the hole gas,” he says. Also important in identifying the hole gas was the almost-symmetrical way in which Eom assembled the various layers — something like a club sandwich. While other researchers have made the material in a bi-layer structure, Eom designed a triple layer. He alternated layers of strontium oxide and titanium dioxide on the bottom, then layers of lanthanum oxide and aluminum oxide, then added additional layers of strontium oxide and titanium dioxide on the top. As a result, the hole gas forms at the interface of the layers on the top, while the electron gas forms at the interface of the layers on the bottom — the first demonstration of a very powerful complementary pair. Eom’s collaborators from UW–Madison include physics professor Mark Rzchowski and graduate students in materials science and engineering and physics, as well as collaborators from The Ohio State University, the University of Nebraska at Lincoln, Argonne National Laboratory, and Sungkyunkwan University and Pohang University of Science and Technology in Korea.